Tooth resorptive lesions are like our cavities; progressive and painful. Make sure your cat is examined for this common dental condition. A common feline dental problem. Most cats will show no symptoms at all but this condition is painful. Dental X-rays are needed to identify any or all lesions that are present as well as direct how the root structure has been affected. Dental X-ray revealing resorptive lesions of the crown and roots. 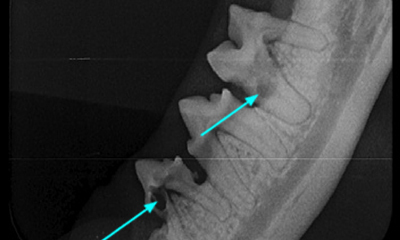 Dental X-ray revealing crown and root resorption. Careful probing of the teeth at the gingival margin and a full mouth X-ray will help identify these lesions for the development of a treatment plan. Schedule an appointment today to have your cat evaluated for cavities/tooth resorptive. 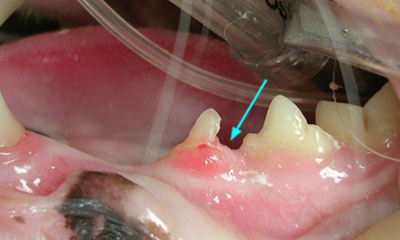 Tooth Resorption (TR) is a common feline dental problem. 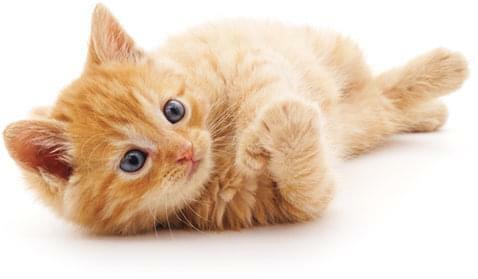 A recent study has shown an incidence of 70% in purebred cats and 40% incidence in mixed breeds. Some cats may chatter or have shift food in their mouth, however, most cats will show no symptoms at all. These lesions are painful and progressively destroy the tooth. 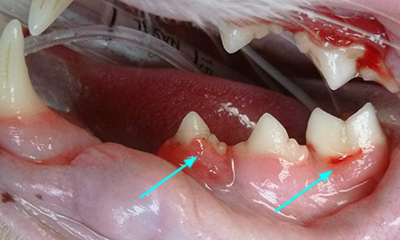 Careful probing of the teeth at the gingival margin with an explorer and a full mouth X-ray series (8-views) will identify these lesions and direct the treatment plan during the cat’s dental procedure. 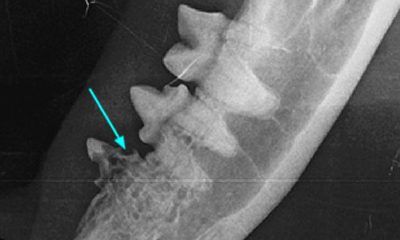 Based on the radiographic appearance of the root structure the affected tooth/teeth will receive either surgical extraction (crown & roots) or crown amputation.